When I was in college, my roommates & I loved to end our long day of studies by watching Late Night with David Letterman, and our favorite part of the show……Dave’s Top Ten List. With Graduation fast approaching, now is the perfect time to make Executive Essentials very own Top Ten List to help our many customers find the perfect graduation gift for their sons, daughters, nieces, nephews, and grandchildren. Executive Essentials is the ideal place to shop for today’s finest graduation gifts, check them out today! Even though it’s only early August, it’s time to start thinking about that special time of year that parents love and kids tend to forget about – back to school. There are still plenty of opportunities to swim, camp, travel, and vacation, but you don’t want to get caught at the end of August with all your back to school shopping to do and all the great sales behind you. Planning ahead can mean the difference between getting the school supplies you want rather the school supplies that are left over. More importantly though, getting an early drop on your back to school shopping means having the time to browse all the new bags, pens, notebooks and other school essentials that you will need in the coming year. Here at Executive Essentials, we have a wide array of items that every back to school student – from grade school to college — could use. In particular, the Executive Essentials online catalog has a plethora of backpacks and messenger bags, including brands like The North Face, JanSport, Ed Hardy and Timbuk2, just to name a few. These are bags that are sure to inspire the creative side in anyone while exceeding the requirements for function and comfort. Take a look at my top 5 picks for backpacks and messenger bags that will make any student look forward to that first day of school. It’s hard to say enough good things about the Timbuk2 messenger bags. My wife purchased me one when my son was born to use as a ‘cool’ diaper bag. I immediately fell in love and long after the diapers disappeared I still strap it on daily and head off on down the road. In recent years I’ve used this bag for just about anything, including carrying live fish, which is possible because of the rubber-ish interior that holds water well – or keeps it out. The exterior of these bags is made out of ballistic rubber an extremely durable substance. There are a ton of different sized pockets that accommodate everything from pens and pencils to bicycle helmets. The straps are ultra comfortable and adjustable, so no matter what your body size you can keep the bag tucked to you firmly regardless of how over stuffed you have it with groceries. Perhaps the best aspect of these bags are the colorful and unique designs that they all come it. Truly a unique and wonderful bag that does it all. And right now they are on sale at Executive Essentials. JanSport is a company that has been sending kids to school for decades. It makes sense then that they understand how to make a reliable, comfortable backpack that can make it through a school year and still have use left over for the summer. JanSport backpacks have a great design that screams function. The backpack itself is wide, with a squared bottom to more easily accommodate books. The inside is uncluttered and cavernous, perfect for younger students who often loose items in more complexly designed backpacks. The outside pocket is great for carrying pens and pencils and the padded back-rest gives enough comfort to walk to and from school. And they have many patterns and styles to choose from. For those older students with a taste for leather, you should take a look at David King Leather Backpacks. These leather backpacks have a great stylistic flair, reminiscent of the Indiana Jones era. These vacuous bags have an astonishing 962 cubic inches of storage capacity, wrapped up into 5 simple compartments for neat organization. The handy oversized flap keeps unwanted weather elements away from what needs to be kept safe. This bag has everything you need for your daily routine. And it comes in 4 great colors to match any mood and taste. If your college bound these days your biggest expense is no longer books – it’s your laptop. And in order to keep that laptop safe from the world, you need a well functioning laptop bag that can also double as a backpack for everything else you need to learn. Even though The North Face is well known for their outdoor gear, their more urban equipment holds up just as well to coffee stains and road rash as it does to bear encounters and mountain climbing. This spacious, but light pack has a padded laptop compartment and a secondary compartment to carry additional supplies. The backrest is a breathable mesh to keep you cool on those daily commutes. It also has dual water bottle compartments, a sturdy top handle, and reflectors for when you have to stay late at the library. 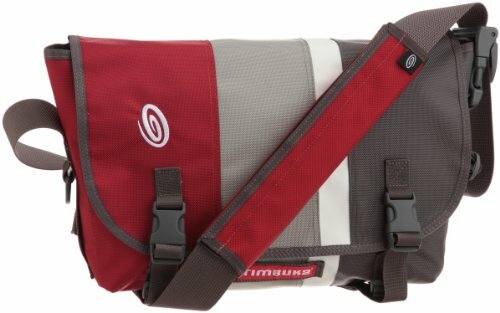 I’ll admit, I’m a bit hesitant to even mention other messenger bags when Timbuk2 has all the bases covered. But, after checking out this moss colored Briggs and Riley bag, I have to say there might be room for more than just one messenger bag in the Executive Essentials catalog. Besides having a more elegant, less young-urban look, the Briggs and Riley messenger has a considerable number of features and pockets allowing it to accommodate a number of lifestyle needs. It’s water repellent and scratch resistant, has a buckle clip and magnet front flap closure, an adjustable shoulder strap that can convert to cross body and it fits laptops up to 15 inches. At 2.7 pounds empty this bag is light and just waiting to be filled. So that’s a quick look at just a small fraction of the backpacks and messenger bags you can find at Executive Essentials. So don’t delay. Back to school will be here before you know it and be prepared for it, is the first step in succeeding. We’ve all been waiting for it, and here is it; June has finally arrived. It’s the end of school, the start of summer, and full blown graduation season. It’s time for vacations, a day at the lake, and nights outside by the grill. It sounds easy and carefree, but we all know better- at least when it comes to graduation. There are constant variables that worry our minds. Will the rain hold off for that outdoor party? What do I wear for the ceremony? What do I get my daughter’s boyfriend for college graduation? While the weather may be unpredictable and that blouse might still be at the cleaners, we can at least take the pressure off of gifting this season. We’ve sorted through the new tech and old classics to present this foolproof gift guide for the guy in your life. Whether your son is moving onto college or starting his first job, we have the perfect addition for the new chapter in his life. Just take a deep breath, and keep on reading for an instant stress reliever. The guy: the new M.D.